So Marvel arrives at film number 14…and lo and behold, they’ve actually managed to break the mould. Doctor Strange is a great addition to the canon and, in my view, the best Marvel film since Captain America: The Winter Soldier. 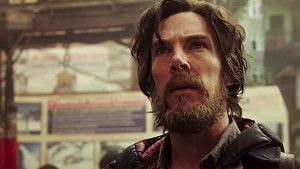 Benedict Cumberbatch plays Dr Steven Strange, a brilliant neurosurgeon who is forced to attempt to rebuild his life after a devastating accident. His determination to achieve the impossible leads him to the world of magic, a hitherto unexplored realm in the Marvel Cinematic Universe. Cumberbatch is great, even if the role doesn’t allow him a performance anywhere near as deep as TV’s ‘Sherlock’ or The Imitation Game. 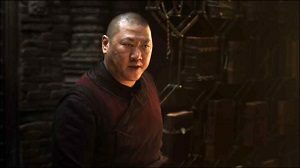 But the most successful aspect of this film is the hero’s journey narrative laid out by Jon Spaihts, Scott Derrickson and C. Robert Cargill in the screenplay. This would have to be my favourite MCU origin story, where every single moment in the film has thematic relevance for our hero. Not only that, but you believe Strange has earned his superpowers. This is the kind of rise-of-a-hero stuff that I always loved about ‘Green Lantern: Emerald Dawn’ and which was sadly missing from the Green Lantern film. The second most impressive aspect of Doctor Strange is the visual effects. Ohh emm gee. I’m calling the Best Visual Effects Oscar right now. The effects here (courtesy of ILM and others) are mind-bogglingly awesome. They involve a lot of kaleidoscopic otherworldly visions, not to mention folding buildings. In fact, when it comes to shifting architecture in film, you could draw a line from Dark City, to Inception, to here. Marvel films, like a lot of Hollywood blockbusters, have had a patchy record when it comes to VFX (think about that ridiculous slow-mo jump of the Avengers at the start of Age of Ultron), but here the presentation is practically flawless. I seriously cannot praise them enough. Which leads me to the film’s flaws, small though they are. I already raved about Strange’s story of discovery. Unfortunately, the film doesn’t manage to do anything great for the supporting characters. The focus is on our hero, and everyone else gets short shrift. For the most part, they are one-note. Swinton gets a couple of decent scenes, sure, but Mikkelsen gets to act out the exact same scene over and over in his appearances as Kaecilius. So the film isn’t perfect by any means. After a bunch of generic, cookie-cutter films though, it’s refreshing to see Marvel put out such a strong story with a unique identity. Cynics might say it’s just Marvel-meets-Harry Potter-meets-Inception, but…well…that doesn’t even sound like a criticism to me. That sounds awesome. If you like the comic book character, and you like Cumberbatch the actor, then there’s no way you’ll be disappointed. You’ll be as giddy as this reviewer. This entry was posted in Film Reviews and tagged Action/Adventure, Comic Book, Fantasy by Stuart Wilson. Bookmark the permalink.